This year Carlisle Bay is celebrating fifteen years welcoming guests from around the world to one of the most beautiful beaches in the Caribbean. To celebrate such a milestone, we hosted an anniversary dinner in the hotel to recognise and thank our staff for being the true essence and spirit of Carlisle Bay. 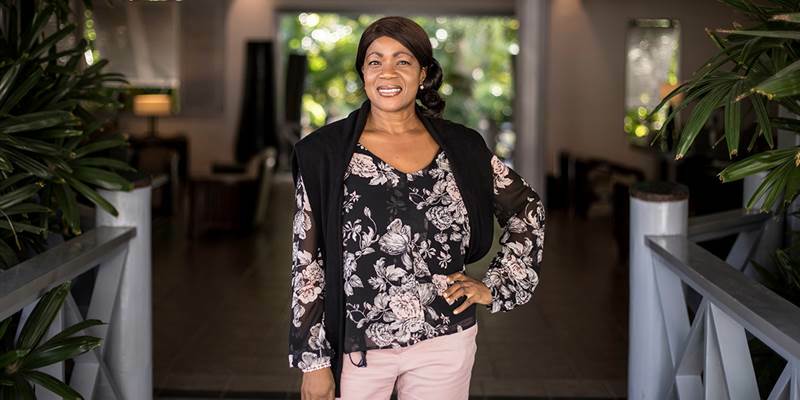 We speak with Deonne Maxime, Carlisle Bay’s highly regarded ‘Rooms Division Manager’, who has recently been recognised for her continued efforts and rewarded for fifteen years of impeccable service to the hotel. We would like to take this opportunity to sincerely thank you for your positive contribution not only to the hotel and our guests but also to all our staff who have had the pleasure of working alongside you over the years and are continually guided by your judgement and the benefits of your insight. What inspired you to work at Carlisle Bay initially? After working in the hospitality industry for a number of years prior to Carlisle Bay I was looking for a better opportunity where I could grow and develop in this industry that I love so dearly. I wanted somewhere that offers job security, excellent working environment, five-star service, equal opportunity and Carlisle Bay was all that and much more! Initially, Carlisle Bay was setting the benchmark for five-star properties not only in Antigua but throughout the Caribbean and I wanted to be a part of that. I was so proud that I was offered the opportunity to be a part of the Carlisle Bay family. After all we are a family! What does Carlisle Bay mean to you personally? What does the team at Carlisle Bay bring to each day? The team at Carlisle Bay brings lots of charm, charisma, passion and love for their jobs each day. They are a dedicated team who goes above and beyond on a daily basis to ensure our guests receive prompt and efficient service. What we create for our guests here at Carlisle Bay is a unique and personalised experience by catering for their individual needs. We provide a service that is second to none! What does a typical day involved in the idyllic Carlisle Bay? Carlisle Bay has so much to offer and what makes us unique is the fact that our guests can be spontaneous on a daily basis rather than just sticking to routine. A typical day in the idyllic Carlisle Bay starts with a complimentary sunrise Yoga or Pilates session on the Jetty / guided early morning hike through the rainforest / private tennis coaching lesson with our inhouse pro or simply a work out in our state-of-the-art gym. Breakfast is then served from 7:00am either on your balcony via Room Service or in Indigo restaurant located directly on the beach. Afterwards, it’s time to soak up the sun on the beach or around the pool. We offer full pool and beach service to all our guests! For lunch we offer three options: Ottimo! Italian cuisine by the poolside along with delicious pizzas straight from our wood fired oven, Indigo on the Beach Mediterranean cuisine overlooking the spectacular nature of the beautiful bay and the Jetty Grill (adults only) Caribbean fusion, using only the freshest of local ingredients. After lunch you can soak-up some more sun or head to our Blue Spa to indulge the senses with our signature West Indian massage using our experienced team of therapists, alternatively, explore Antigua by sea on our Fjord36 and book a private island tour or sunset cruise with our friendly water sports team, or for sailing enthusiasts, take out a Hobie Cat for the afternoon and try turtle spotting in the bay, otherwise, simply relax and enjoy complimentary afternoon tea wherever you wish because it is made to order. Your evening starts with pre dinner cocktails at one of our bars where you can enjoy the sounds of our jazz pianist or live music from one of our local Antiguan bands and then choose to dine at one of our four restaurants, including East offering exquisite Asian delicacies, in cool, dark wood interiors, for the most sophisticated of dining experiences. Are there any future enhancements to look forward to at Carlisle Bay? ‘Strength & Resilience Massage’ (deep muscle massage combined with yogic stretches to boost energy levels and support the immune system). ‘Mindful Moments Massage’ (rebalancing experience, including guided breathing and visualisation techniques combined with deeply therapeutic massage to release physical and emotional anxieties, relax the mind and restore a positive spirit). May 2020 Health Retreat: including daily sunrise and evening yoga and meditation sessions, health consultation on arrival with tailored Chinese medicine retreat plan (including two acupuncture treatments, luxurious personalised massage and one body and mind session), as well as, delicious seasonal Ayurvedic nutrition, with cooking demonstration and talks, in addition to individualised recommendations. Jetty Grill Chill Out Lounge: at the secluded end of our beach, nestling into the rainforest, take a moment to unwind and savour an old-fashioned rum punch, whilst bathing in the warm glow of the sunset or alternatively, join us for one of our outdoor movie screenings showing old classics after the sun goes down, launching imminently.